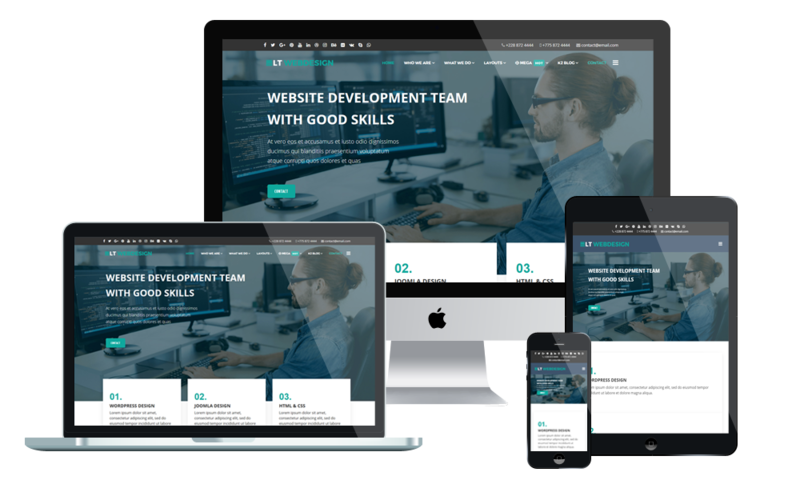 LT Web Design is premium WordPress theme that targets for Web Development or Web Design websites. The theme represents a clear and elegant design with light colors, which makes it suitable for setting up any web design studios and creative agencies. It is normally used for graphic design, authoring, interface design,…LT Web Design displays neatly on any screen size. No matter that is desktops, tablets, or smartphone, it will fit automatically and look gorgeous on that. The template framework come with many features such as powerful shortcodes for present content easily, drag-drop layout content, Bootstrap CSS & Hybrid framework. Especially, with the help of its unlimited color and a color picker in the admin panel, you can create superb presence for your site with various layouts. You want to introduce something about the development as well as the goals of your company, on this site, it is easy for you to present your desire. Besides, you also exhibit your all historical development over the period to get a strong company in today to all customers. About services page of this WordPress theme, you can list your business-related services in details such as media and design, website marketing, social marketing… by using their unique page template.